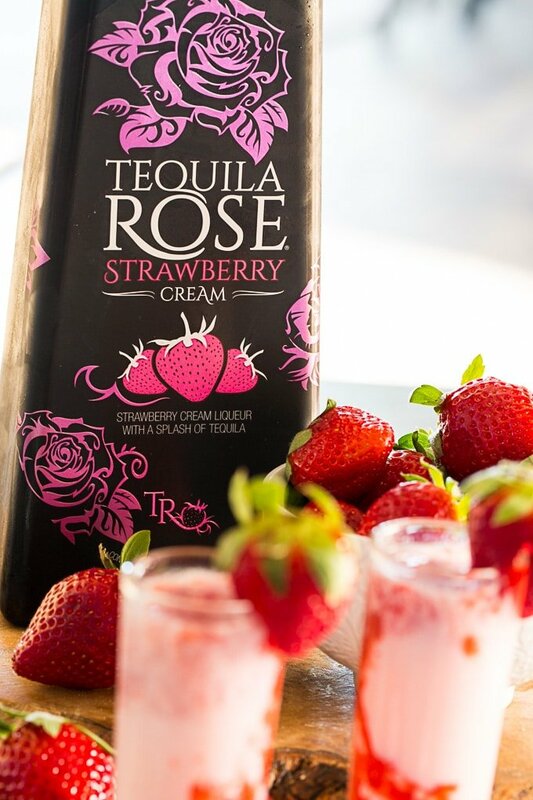 I had never bought Tequila Rose before I bought a bottle for this cocktail. 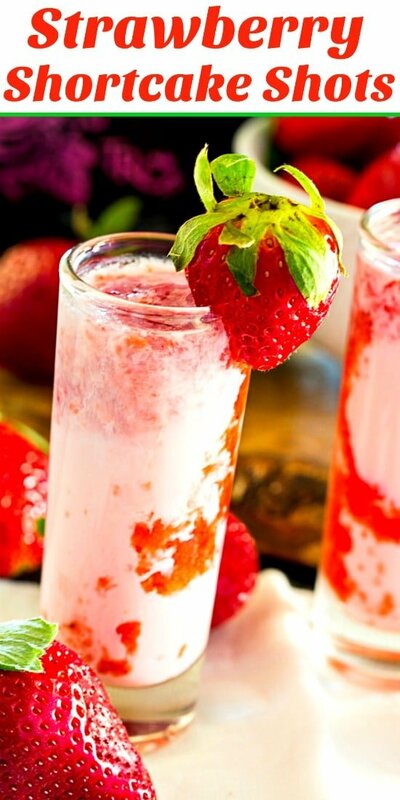 It’s a Mexican Cream liqueur that’s a mixture of strawberry cream liqueur and tequila. Can you say delicious? 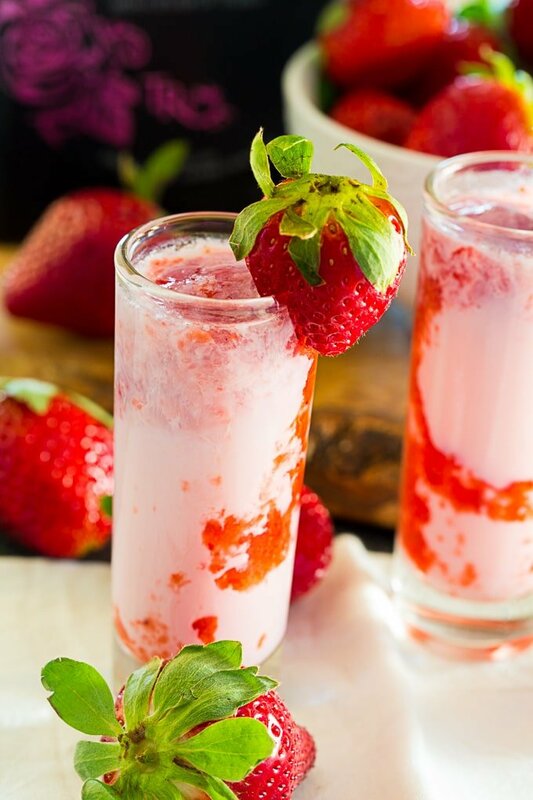 Place strawberries in a food processor and process until smooth. Add cake vodka to fill the glass 2/3's full. 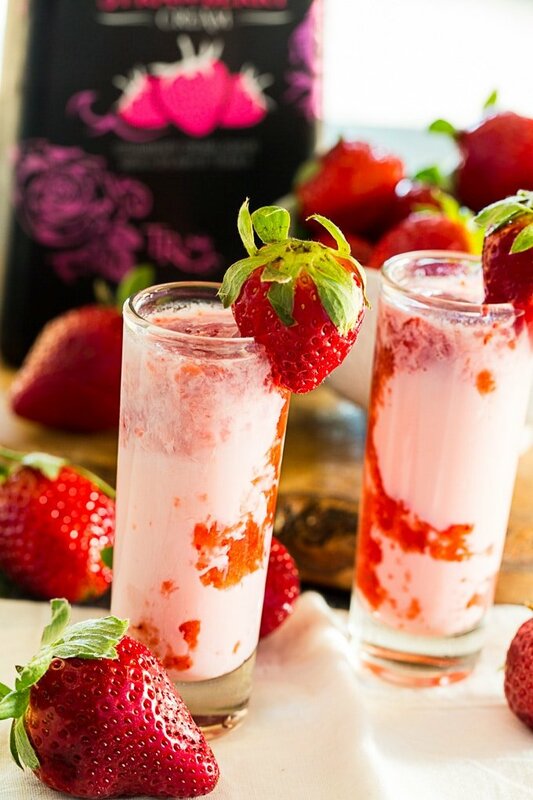 Top off with Tequila Rose. 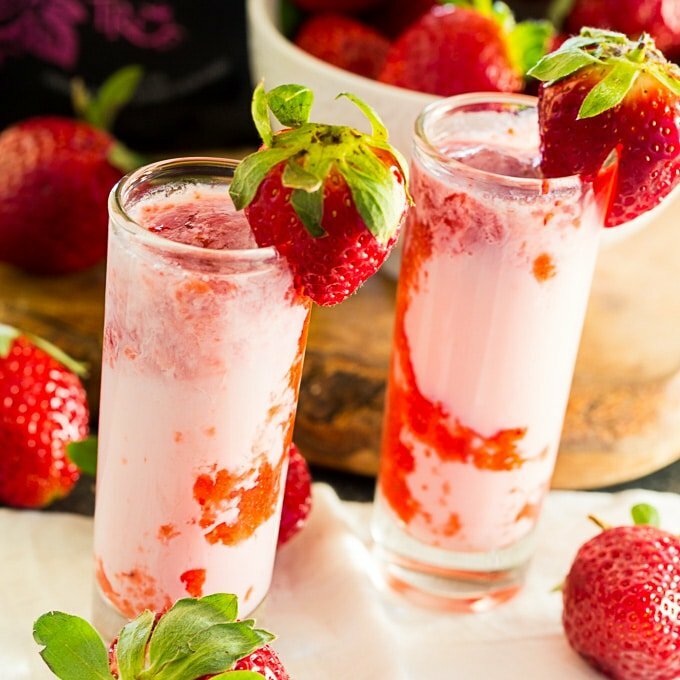 You should have enough strawberry puree for at least 6 shots. This entry was posted in Cocktails and tagged strawberries, vodka. Bookmark the permalink.